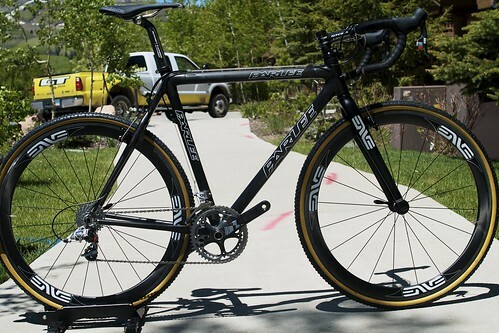 I rode three Cross bikes during PressCamp (more on the Blue and Ridley this week) and what was funny about the Parlee CX, is I was more enthused by it than the Parlee Team. As I learned, that’s because the bike is a stock Parlee with cross-specific features. The superb ride is just what Parlee does. How they do, in other words. I told Bob later that he could’ve said the CX was built just for Cross with special tubing and layup schedule, but that’s not his or the company’s style. Parlee lets the bikes speak for themselves and, of course, this is a bike you build for yourself. 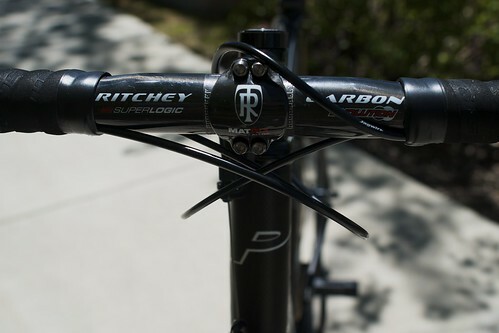 As Tom Rodi tells me in a video interview below, you can spec the custom build to your style, terrain, and stiffness. If you want to run your cables oddly like this, they’ll do it. Ride quality is like umami in food science. It’s subjective and the combination of all the elements into “savoriness.” Ride enough Taiwan-spec bikes and they all feel the same, just like bland fast food tastes. The Parlee – and the Davidson I race on – are like gourmet cooking. It’s the food you order, eat, and instantly know that the chef is an artist into what he’s doing. Custom bikes have got that certain something, special ingredients, from being hand built. Like the first bite of comfort food, I’ll know in a few pedal strokes whether I’ll like a bike or not. I judge a racing bike by its ability to go where I point it, respond to body english, and if I feel confidant on it. The Parlee did all that and surprised me with the stiffness I wanted to accelerate and compliance for a big vertical drop onto a rocky trail. 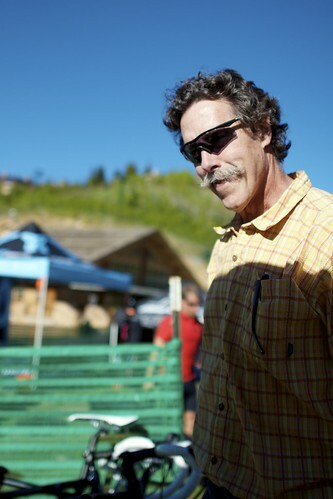 The Deer Valley Resort is setup for freeriders and downhillers in the offseason. 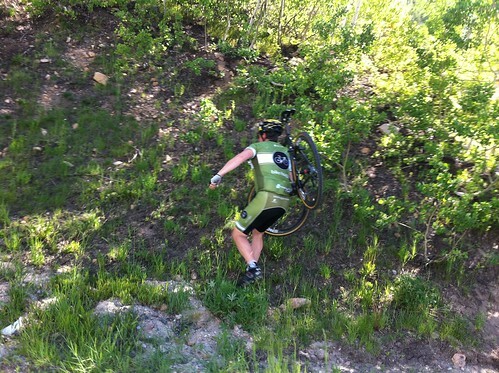 I don’t know if other Cross racers bring their bikes up there, but I hit the trails hard like they were made for me. I then rode down the resort road for a few laps around the lake and ran up some small hills. You could swap out the wheels and tires on the CX and have a crit bike. If this were my custom bike, I’d want a slightly higher bottom bracket, some slope, and a shaped top tube for the shoulder carry. It’s best to run with a bike on your shoulder that you like. A lot. I wouldn’t change anything else on the bike, except for brakes that stopped with some power. Internal cable routing too. See more Parlee photos in our PressCamp photostream and watch the video.